Warm Almond Breakfast Porridge, really just a fancy way of saying warmed oatmeal with the fixings. Winter blows. I don’t mean to be a negative Nelly over here since it’s only November but I am seriously emo already about this cold weather in NYC. Gone are the days when I only need a light jacket, lululemon pants and my sneakers on when I leave the house. Now I will be wearing a puffy vest, jacket, scarf, mittens – well you get the idea. 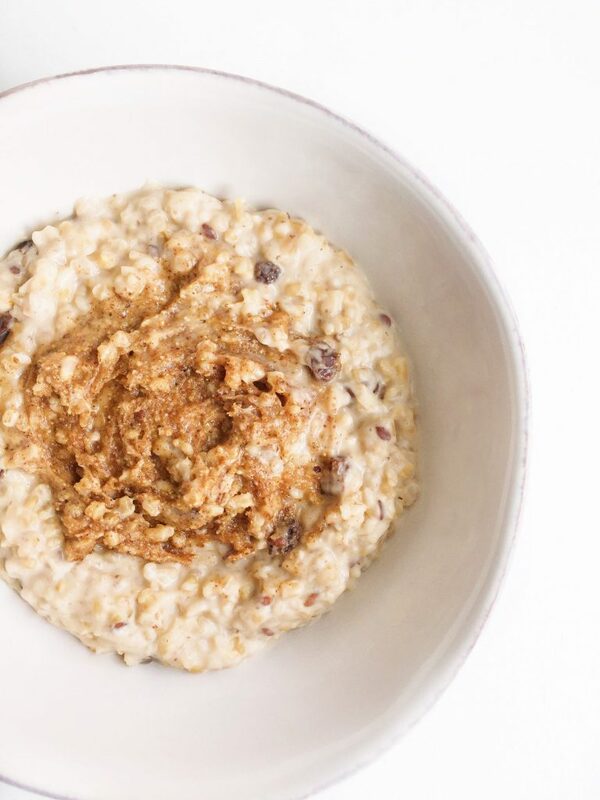 I still eat my cold Overnight Oats and Chia Seed Pudding in the winter for breakfast but there are definitely some mornings when I wake up and want a hot bowl of oatmeal instead. This Warm Almond Breakfast Porridge is such a comforting breakfast bowl. 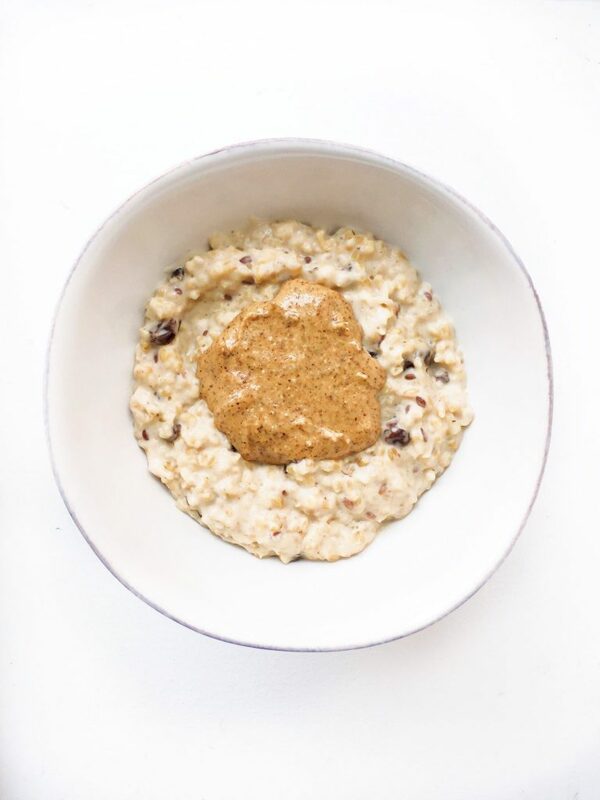 It is cooked over the stove (yes you actually need to cook your oats today) and its filled with steel cut oats, creamy vanilla almond milk, flax seeds, chia seeds, raisins and of course topped with maple almond butter. 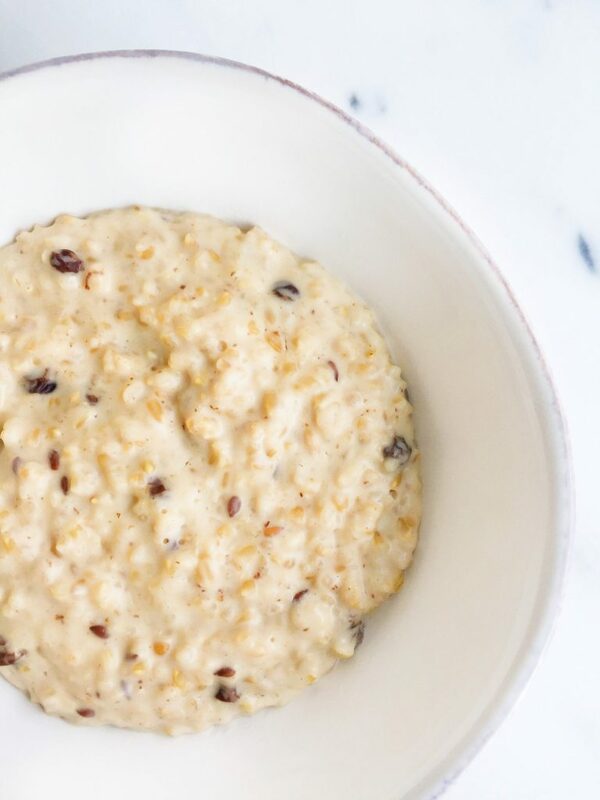 The combination in this porridge just makes me want to cozy up on my couch with my faux fur blanket and watch Netflix all day (which pretty much is my winter routine). This bowl of Warm Almond Breakfast Porridge is hearty, filling, wholesome, flavorful and so perfect for winter.